Clean lines and a modern, feminine look are signature characteristics of furniture designer Katy Skelton’s pieces. Measuring only 7” in diameter this little drink table will fit almost anywhere and has a wonderfully eclectic feel. 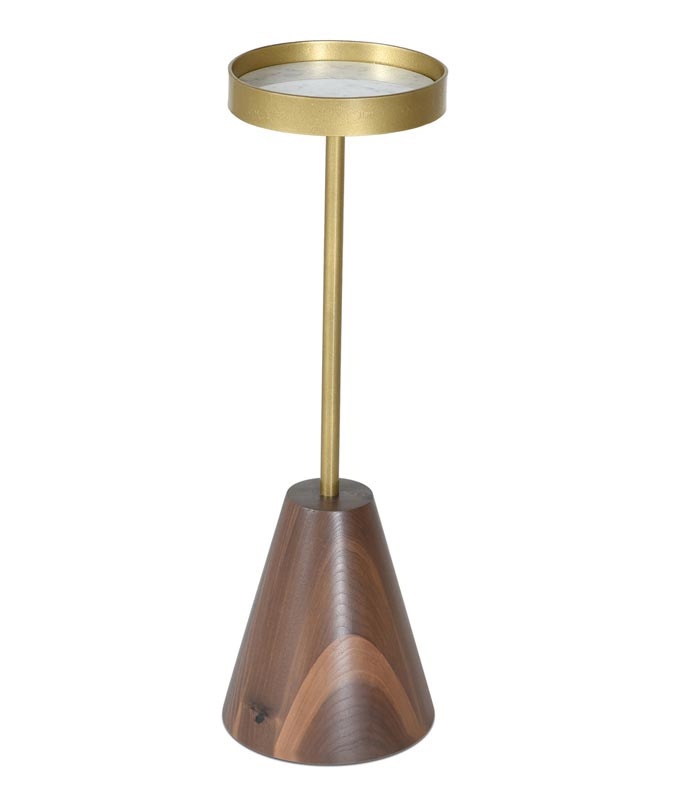 The top features an inset marble disk, the base is a clear-coated Walnut.